Once again, this is from buddhanet.net. I think it’s a fitting end to this week and a nice way to clear our minds and hearts for the weekend. Peace. When you lay to sleep tonight with your consciousness fading, visualise the passing away of your defilements and attachments, the dissolution of them into the night. Feel a liberating lightness of merging with the reality of emptiness. Resolve to awaken fresh and undefiled the next morning with great awareness for your renewed undefiled life. In this way, practise the letting go of what should be let go. In this way, practise letting to die what should die. 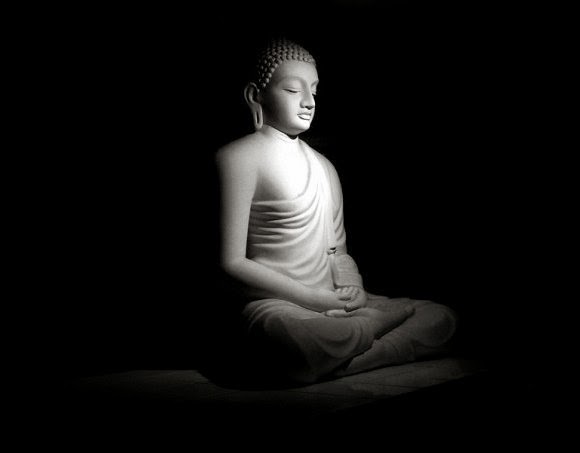 Upon your deathbed, if you are a master of this practice, you will go in peace. To practise now is to start your “going in peace” now. From the moment we are born, we are already on our way “going”… Start “going” peacefully now as it is a long and difficult journey, and peace will surely be attained.